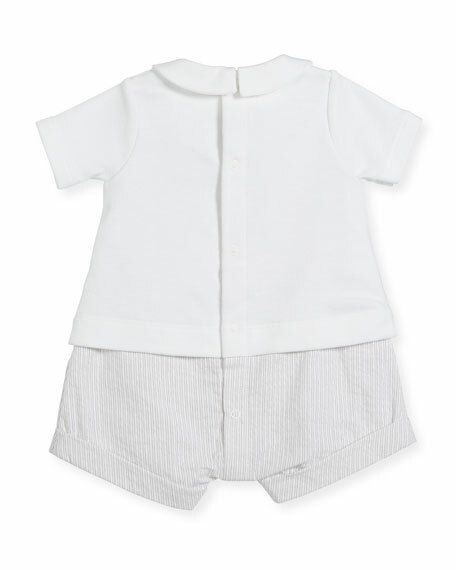 Petit Bateau striped romper with attached solid shirt. Spread collar with logo lettering embroidery. 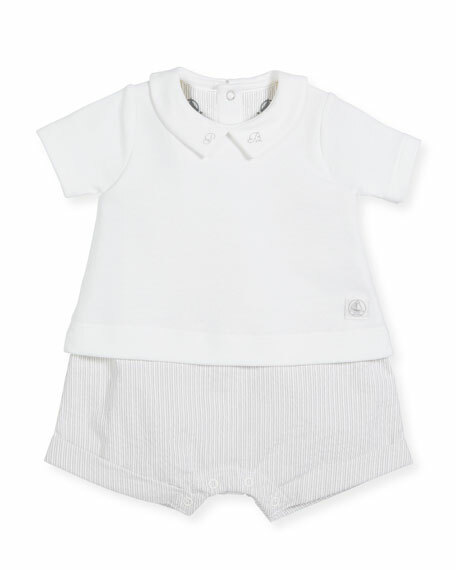 For in-store inquiries, use sku #2482972.